It’s almost Mardi Gras and that means it’s time for all that delicious New Orleans fare: Jambalaya, Red Beans and Rice, Shrimp Creole, Shrimp Etouffee, Muffaletta Dip, Bananas Foster Cake, and Beignets. Love them all. 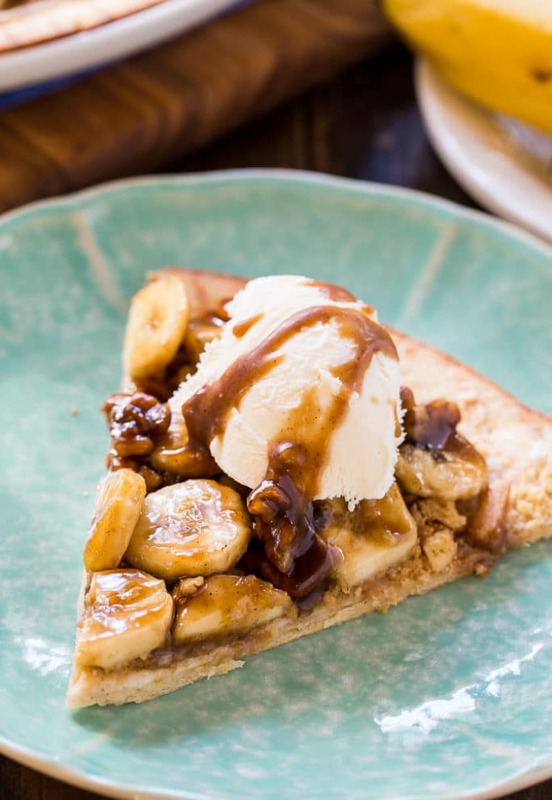 This Bananas Foster Dessert Pizza is super easy to make for a party or a special family dessert. 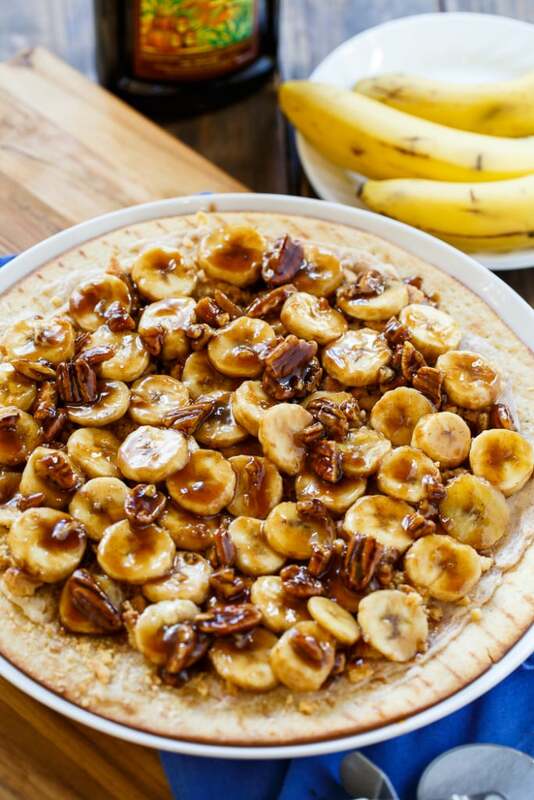 We always have bananas and it is so easy to turn them into a delicious dessert like this Bananas Foster Dessert Pizza. 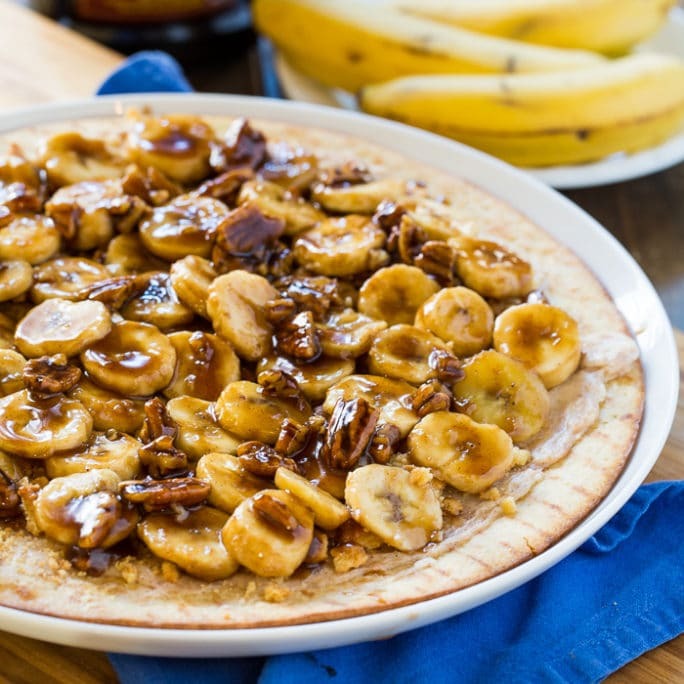 A pizza of any kind is always a crowd pleaser, but especially when covered in cream cheese and shortbread cookie crumbs with sliced bananas and chopped pecans drenched in caramel sauce and dark rum. I like to use a premade pizza crust to save time, but you could make your own pizza dough. Add a scoop of vanilla ice cream on top and you are in for a treat. 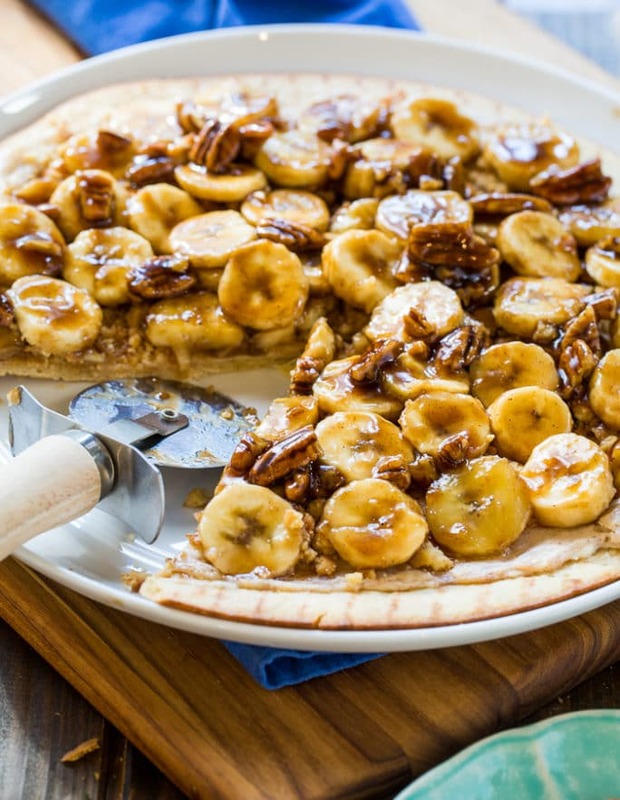 Whether made for a family dinner or a Mardi Gras celebration, Bananas Foster Dessert Pizza is one pizza you’ll be glad you tried. Pizza crust is covered in cream cheese and shortbread cookie crumbs plus sliced banana and pecans drenched in caramel sauce and dark rum. Preheat oven to 400 degrees and place pizza crust on a baking sheet. Using an electric mixer, beat cream cheese until fluffy. Beat in powdered sugar and cinnamon. Spread cream cheese mixture on pizza crust. Sprinkle cookie crumbs on top and drizzle with melted butter. Place pizza crust in oven and bake for 8 minutes. Let cool slightly. Melt 1/4 cup butter in a medium pan. Add brown sugar, cream, and cinnamon and cook for 2 to 3 minutes. Add rum, bananas, and pecans and cook 1 minute, stirring to coat the bananas. Top pizza with banana mixture. This entry was posted in Desserts, Other Desserts and tagged bananas, Mardi Gras, Pizza. Bookmark the permalink. I cannot even put into words how amazing this looks! I want to dive face-first into this. And my husband doesn’t like bananas, so MORE FOR ME! GET OUT! This looks fantastic Christin! Perhaps the best dessert pizza ever – pinned! This is such an amazing creation! 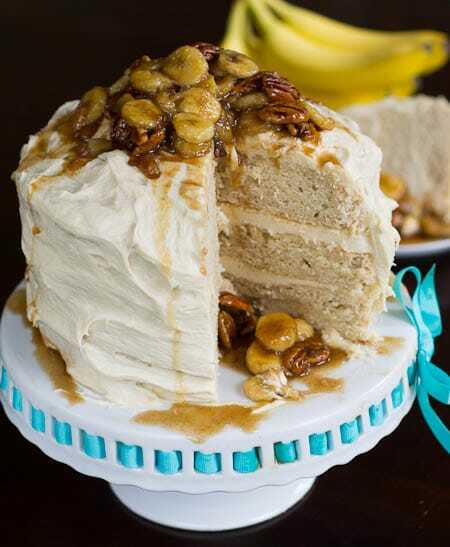 I love bananas foster, and would love to dive into this! Wow. 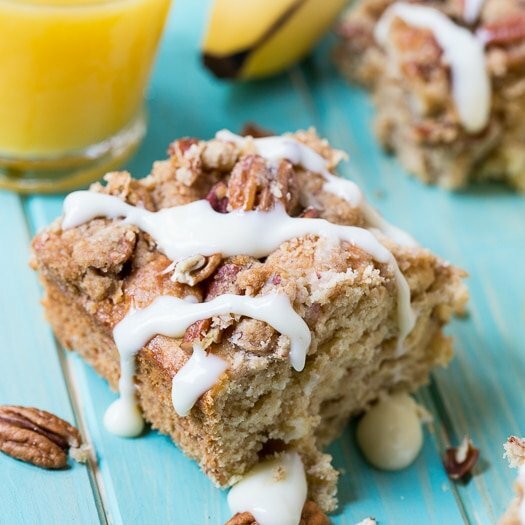 That looks scrumptious, especially with the bananas and nuts. I’m inclined to hoard it and gorge on it with lots of ice cream on top. 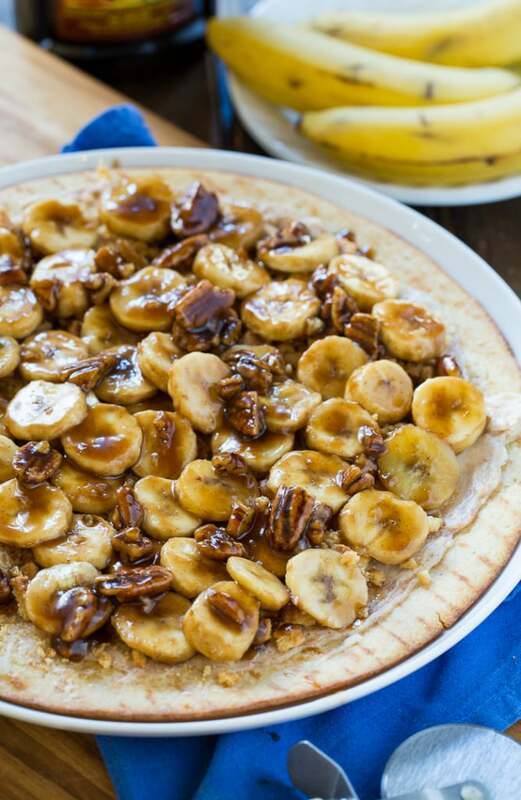 This banana foster pizza might be a crowd-pleaser, but I will be THE ONE at the party who will try to hoard it all. 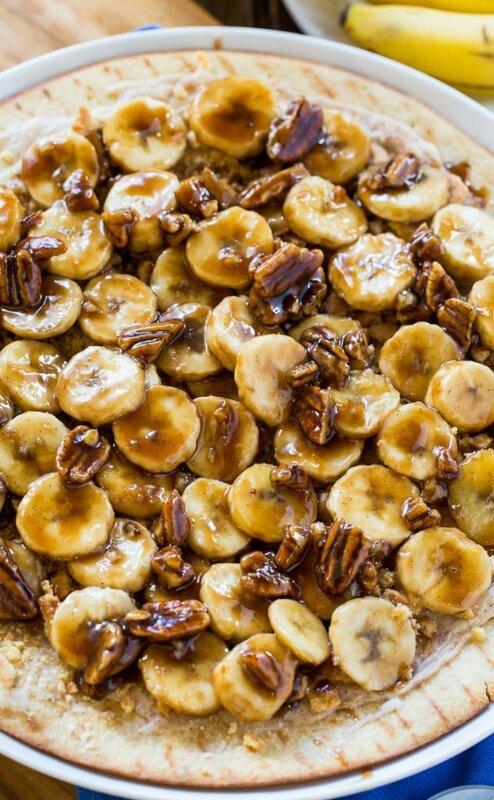 This is banana dessert heaven! Wow this is pretty much a perfect pizza, Christin! I love your creativity! I am a huge bananas foster lover, so I would devour this in no time! What a creative dish! I just love this fun spin on bananas foster!